Nick Casey - Caseyco Inc.
Joshua Co. is the best plumber hands down in St. Louis. They are reliable, honest and affordable. I have found them to be extremely knowledgeable and they take the time to go the extra mile. In my experience as a general contractor, most subcontractors leave a mess, but Joshua Co. always leaves the job site clean. In addition, I have never received a complaint. We will continue to use Joshua Co. for all of our plumbing needs. 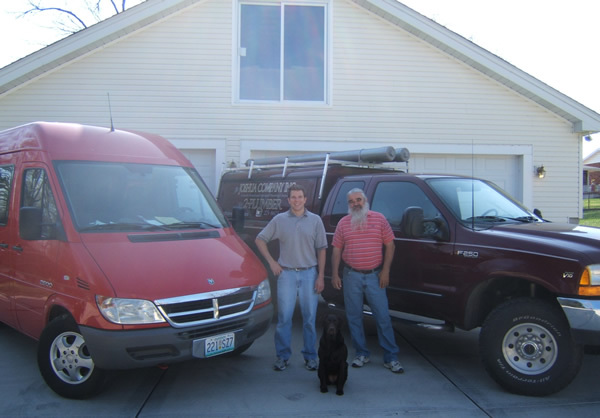 I have used Josh and Mike on both commercial and residential projects – new construction and existing/remodel. Regardless the size or scope of project, you’ll get their professional and personalized approach with an impeccable attention to detail. Always on-time, always within budget - I don’t even bother to bid them against anyone. Their big company capacity and small company service is something you’ll never regret having in your home or on your job. Josh and Mike, of the Joshua Company really listen to what their customer wants. The quality of their workmanship is outstanding. They accomplish their work on time and that means a lot when working with other contractors. Their bids are economical and they don't snowball you with hidden charges. The characteristics I like most about Josh and Mike is their ability to show up when they say they are coming; they are great about keeping the job site clean and most of all, they are honest. These guys are my favorite contractors ever. These guys are my favorite contractors ever. I don't actively try to create a plumbing problem in my old Webster Groves home, but when I do have one I always look forward to having Mike and Josh come fix it. They are reliable, honest, experienced, neat, and also really nice guys. Joshua Co. has handled all of my plumbing issues since the mid 1980's.